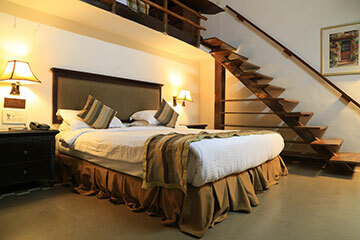 Ravine Hotel Luxurious Ground Floor Duplex Rooms for family. 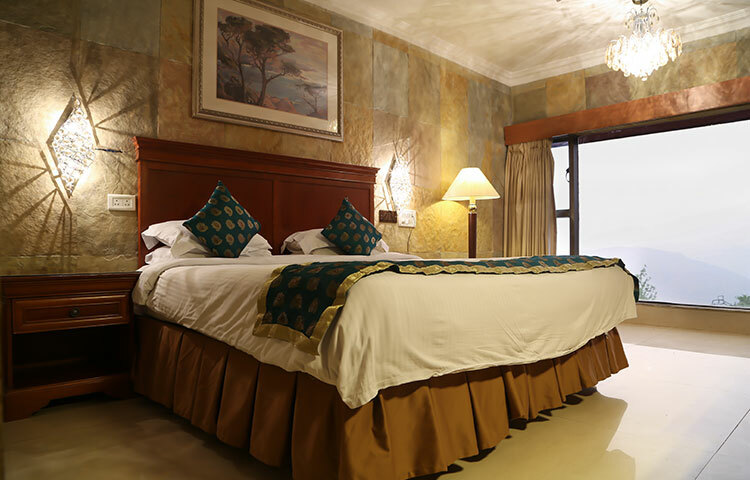 Spacious & elegantly furnished with all modern amenities, the ground floor rooms are perfect for a family of four, looking for affordable, comfortable and safe hotel accommodation. These are beautifully designed luxury hotel rooms available on the ground floor. The area of the room is around 250 sq. ft. 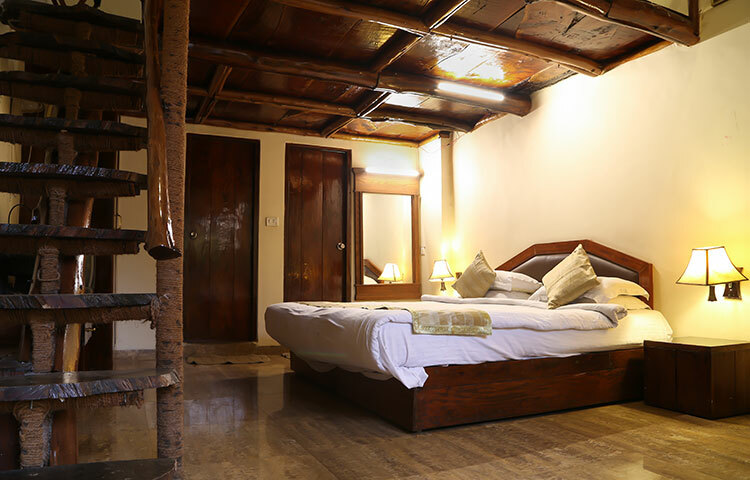 The rooms accommodate 4 persons, and are specifically designed for families with kids. They are duplex rooms with 2 double beds, one on the ground floor and the other on a mezzanine floor. There is no privacy between the two floors (Ground & Mezzanine). 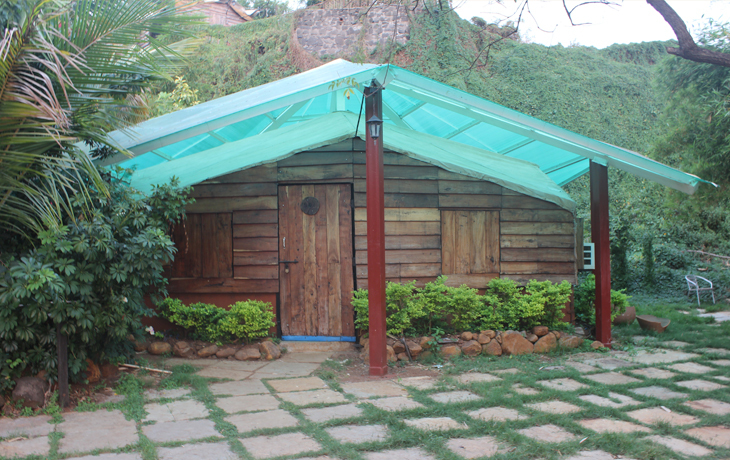 The rooms do not have any view, but are spacious and elegantly furnished with all amenities. At Ravine hotel, our aim is to provide clean & comfortable accommodation for our customers, so that they can enjoy their stay. Housekeeping cleans all guest rooms & common areas on a daily basis. 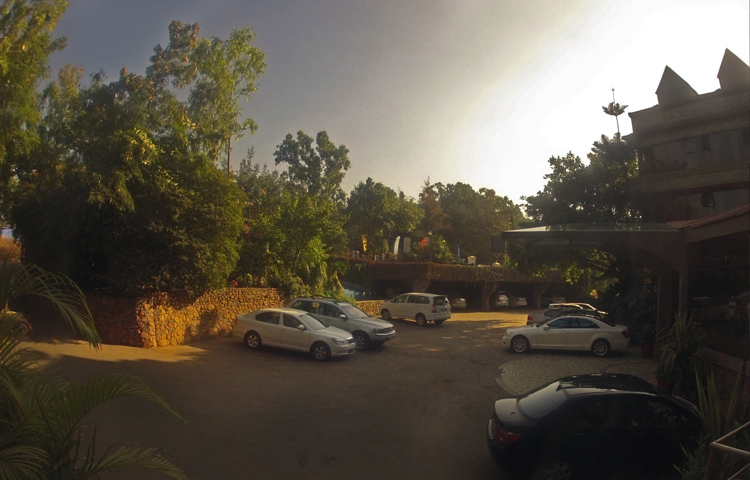 If you are looking for cheap accommodation in Mahabaleshwar & Panchgani, the ground floor rooms at hotel Ravine are just the place for you. 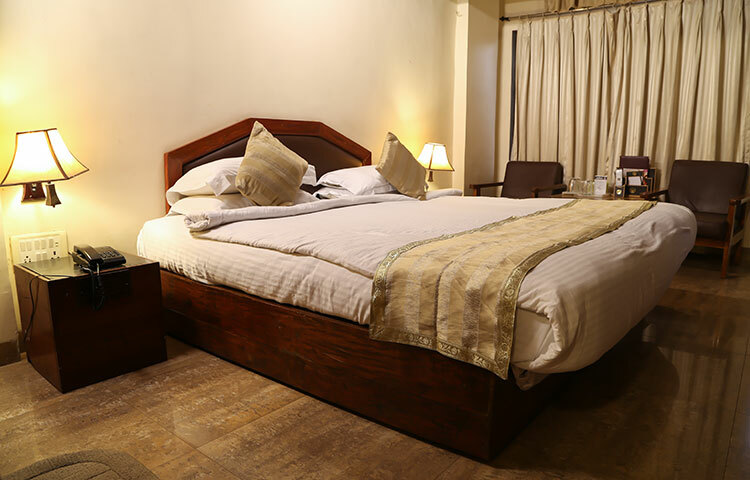 The rooms have a super comfortable spring double bed. After checking in, we offer the first 1-Day Wi-Fi free for our guests. There is a flat screen T.V in all rooms to enjoy your favorite programs across leading networks like Zee, Sony, Star, NDTV, Discovery, National Geographic, and many more. State-of-the-art spa that offers a host of treatments like aromatherapy, Ayurvedic massage, body scrubs & wraps, reflexology, and other special treatments. Tariff rates only include breakfast & stay at the hotel. They do not include any meals or other packages. Website Development by SKI USA INC | Property Owned by Live Oak Resorts Pvt. Ltd.
× Thank You For The Sharing Your Experience.